Probably there are a lot of you who don’t have the Gmail app installed on your device. And why should you, when your iPhones and iPads came with a pre-installed Mail app, where you can check all your mails with one tap. I, for one, didn’t even know Google had a mail app until today. But you know what? You should really give it a try. And even stick with it, especially if you only have Google mail accounts. 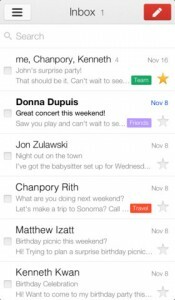 The Gmail app is extremely similar to your regular Mail app. There’s no surprise there. I liked the design a bit better, but basically it’s the same. Same window, same buttons, but not necessarily in the same place you can find them with the regular email app. Basically, it’s the same. But that’s only at a first glance. Click here to get the bite on - What’s Your Favorite Gmail Client On The iPhone? What’s the nearest pizza place or who is Albert Einstein might be questions you would normally ask Siri or pop open a browser window and search. But did you know you have an easier way of doing this? It’s called Google Search and it’s *the* app to have on your home screen. 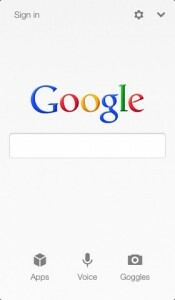 Take Google Search with you anywhere you go and enjoy the power and speed of Google’s search engine right in your pocket. 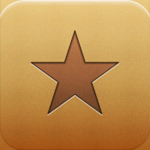 iFile Download Manager iPhone App Review. 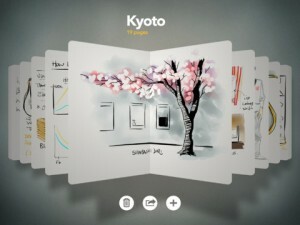 Years from now, I think people will no longer use actual notebooks, sketch books or planners. Because who needs to carry all these things around when you have all sorts of apps that help you write down just what you need, when you need it, with a single tap on your light, beautifully designed iPhone or iPad. Can’t think of any of these apps that could make your life easier? Well, then let me introduce you to Paper. 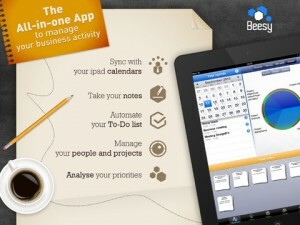 Apple’s pick for 2012’s iPad app of the year, available on the AppStore, of course. iCallU is a simple iPhone app that tries to transform your iPhone into a traditional phone by letting you search for a contact old-school style: spelling a name on the dialing keypad. The app’s T9 search function will take over and show you a contact associated with that name. The app is available for $0.99 on the AppStore. Open up the app and notice that every number on the keypad has a set of letters associated. For example, “2″ has the letters A, B and C. To call someone, start typing his name. So if I want to call Alex, I just have to touch “2″ and Alex’s name is displayed. If you have more than one name beginning with that letter, continue typying to fine-tune the search. 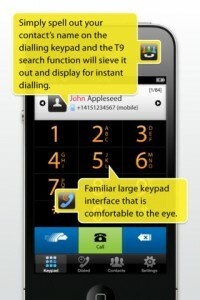 Once you found the contact, tap “Call.” Now, iCallU will just launch the regular Phone app and call that contact. Click here to get the bite on - Too Lazy To Search For A Contact? Get iCallU!